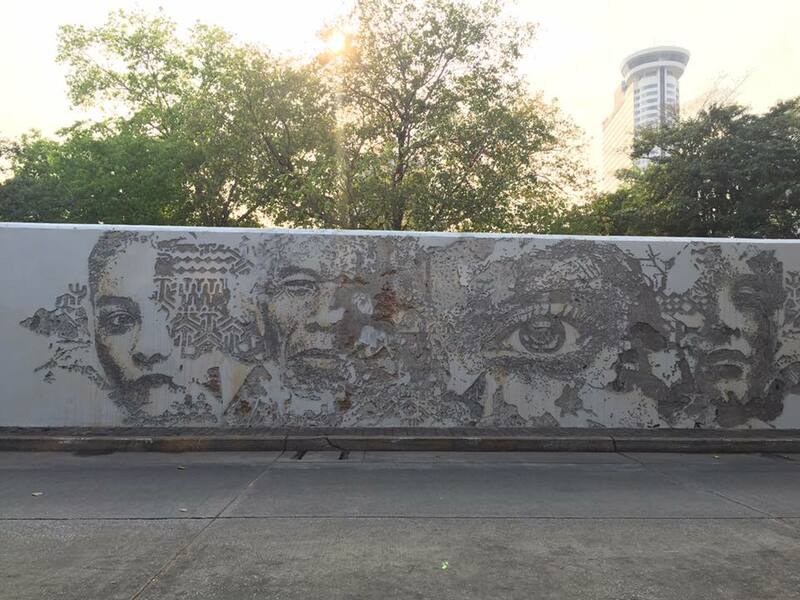 Vhils' groundbreaking carving technique reveals both his memories and history in Bangkok. Alexandre Farto has been interacting visually with the urban environment under the name of Vhils since his days as a prolific graffiti writer in the early 2000s. But he had a sudden realization: the walls to which he had been adding layers to contain much history. He was contributing to its concealment, hiding not only his previous mark but also of those who came before him, be it posters, paint, or fixing. Why not help the walls tell their stories and reveal the layers beneath? Such thinking led him to completely invert his craft and strip layers away. Vhils’ groundbreaking carving technique, which forms the basis of the Scratching the Surface project, has been hailed as one of the most compelling approaches to art created in the streets in the last decade. Vhils has stated that he now draws inspiration not only from what he sees in the streets, but also what the wall layers reveal to him. His designs are dictated by what lays underneath as he carves and each new revelation shifts his art away from its original plans. 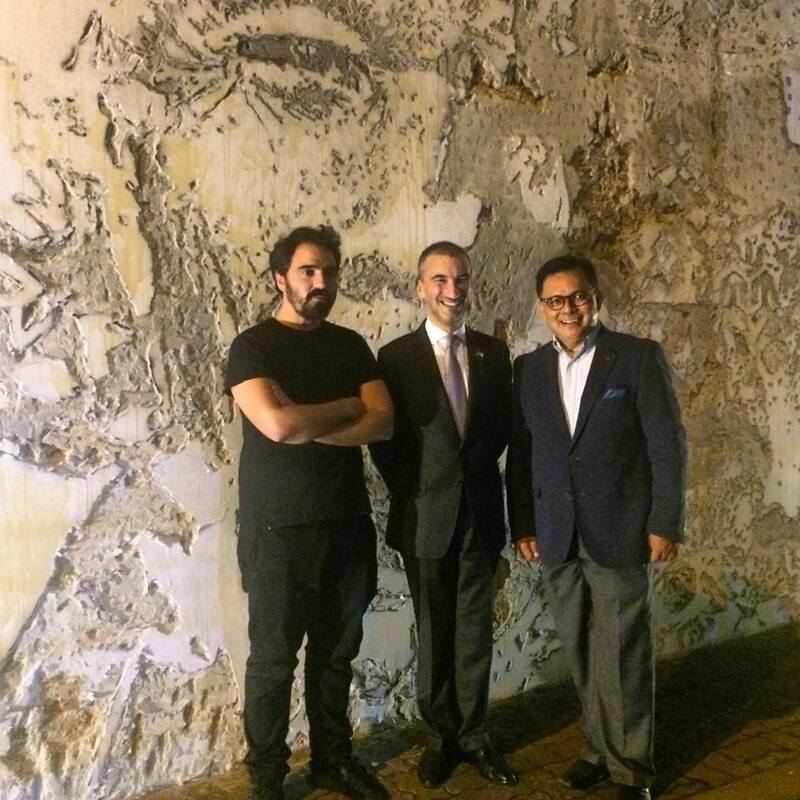 In February 2017, Vhils visited Bangkok to create his unique form on street art on the wall of the historic Portuguese Embassy in the Creative District. The very human design plays out faces and scenes from the area while paying homage to Portuguese patterns and expressing the centuries long Thai-Portuguese relationship. His work also reveals bricks from Ayutthaya period and more recent concrete blocks used to fix a hole from when a bus collided into the wall. Bangrak, already full of street art from BUKRUK, now has one more invaluable addition to its streetscape. You can see the work of Vhils on the wall of the Embassy of Portugal in Charoenkrung soi 30. This project is presented by the Embassy of Portugal and the Portuguese Cultural Center with the kind support of MINOR GROUP and Camões, Institute for Cooperation and Language.